The wicked bout of winter weather gripping North America did not spare Prince Edward County on Wednesday as life came to a frozen stand still thanks to blowing and drifting snow, high winds and arctic-like temperatures. According to Community Safety Officer Constable Patrick Menard, Prince Edward OPP responded to over 50 calls for service within a 24 hour timeframe of which 22 were reported as motor vehicle collisions. While the snow flakes started to fly Wednesday morning, the heavier accumulations started around mid day and white out conditions later in the day prompted OPP to close all roads in the southern end of the county due to the poor visibility. Traffic was snarled in many places in Prince Edward County as the OPP did as best they could to keep up with calls for service. A four car pileup near Cherry Valley was just one of a number of multi-car collisions and many, many vehicles were stuck or lined up on county roads for extended periods of time as the white out worsened. 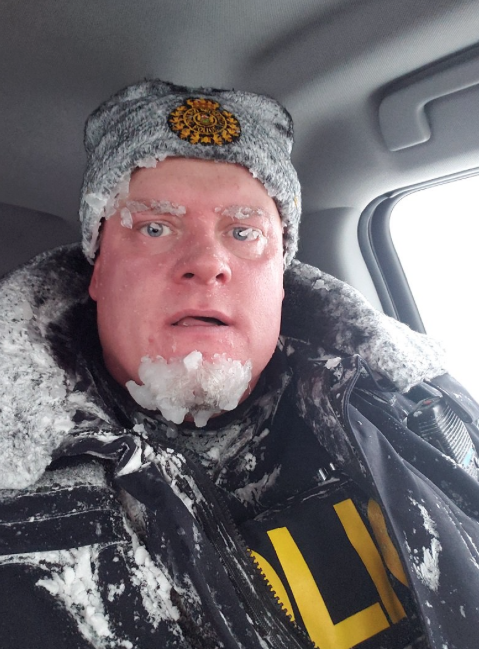 The OPP’s emergency response team were also on hand to conduct snowmobile patrol on secondary roads and search for stranded motorists who may have been stuck in the massive drifts caused by the wind. 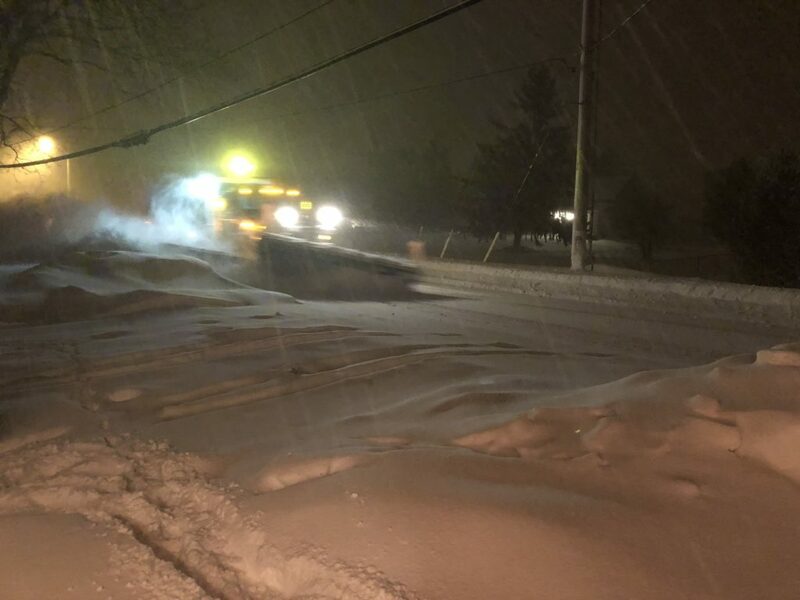 Menard said the OPP wish to thank the citizens of Prince Edward County for staying off the roads Wednesday evening and early Thursday morning and can report there no major collisions were reported. As of 8 a.m. all Prince Edward County roads were open and drivers are still asked to drive according to the road conditions. School bus runs were cancelled Wednesday and today and forced a premature ending to Semester One culmination activities for secondary students. In total, Students in Prince Edward County have missed a glut of class time over the last two weeks with Mon., Jan. 28 as being the only day where conditions didn’t force Triboard School Bus Consortium to cancel bus runs. Even Fri, Jan 25, some Prince Edward County bus runs that included stops on what Triboard refers to as ‘Legacy roads’ were cancelled due to safety concerns. 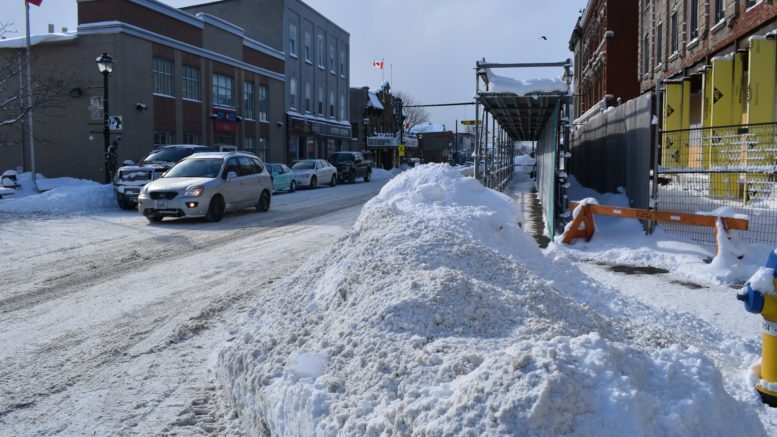 The cancelations wreaked havoc with the PECI examanation schedule and continued bus cancelations forced the school of effectively cancel period four and five exams. “Period Four and Five exams will not be rescheduled. Final report card grades will be determined based on evidence of student learning gathered through the term,” PECI said through a social media posting. County of Prince Edward Communications Director Mark Kerr said overnight crews were busy in the wee hours of the morning to tend to primary, level one roads while second shift snow plow drivers started clearing secondary or Levels two and three roadways at 4 a.m.
Kerr added drivers would be working through Thursday to ensure all municipally maintained roadways are clear of snow and passable.